Brent Gallupe is the founding Director of Canada's first electronic group-decision support laboratory at the Queen's Executive Decision Centre. Brent advises both private- and public-sector organizations on the development and use of group support technologies for management teams. His reputation for being on the forefront of information technology has earned him frequent invitations to lecture at universities in New Zealand, the United States and France. He earned an MBA at York University and a Ph.D. in Business Administration at the University of Minnesota. Publications: Prolific author of dozens of research papers, articles, presentations and papers published in respected business and academic journals, including Journal of Information Management Systems, MIS Quarterly, Journal of Applied Psychology, Sloan Management Review, Academy of Management Journal, Group Support Systems: New Perspectives, CMA Magazine, Canadian Data Systems, Pulp and Paper Canada, and Information and Management. Clients: Canada Post, Certified General Accountants Association of Canada, Health Insurance Division, Ontario Provincial Government, and the Canadian Urban Transit Association. Erik Lockhart is the Associate Director of the Queen's Executive Decision Centre. Mr. Lockhart designs and facilitates meetings using group decision support technology and other more traditional meeting processes. He has led over 1250 sessions for groups undertaking strategic plans, community consultations, marketing plans, budgets, competitive analysis, stakeholder analysis, organization redesign, and focus groups. Mr. Lockhart has also led sessions on new product development, conflict resolution, team building, and continuous improvement. He has worked with over 400 different organizations in the private, public and not for profit sectors. Some of his clients include: Association of Ontario Land Surveyors, Bridgepoint Hospital, Canadian National Exhibition, Cancer Care Ontario, Capitol Theatre (Port Hope), Chartright Air Group, City of Mississauga, City of Calgary, City of Ottawa, Canadian College of Family Physicians, Coca Cola, Community Health Centres (Ontario), Durham Arts Council, Economic Developer’s Council of Ontario, Golf Canada, Imperial Oil, Industry Canada, Ministry of Health and Long Term Care, National Defense, Northern Ontario School of Medicine, Ontario Chamber of Commerce, Ontario College of Family Physicians, Ontario College of Teachers, Ontario Hospital Association, Public Health Agency of Canada, Public Safety Canada, Red Cross, Royal College of Physicians and Surgeons, Rupari Foods, Rx&D (National Pharmaceutical Association), Santa Maria Foods, Senate of Canada, and numerous Ontario Municipal Councils (elected). He has also worked with public schools and hearing and sight impaired groups. Mr. Lockhart teaches in the Faculty of Commerce at Queen's University and facilitates in the Queen's Executive and Public Executive Programmes. Prior to joining the Executive Decision Centre, Mr. Lockhart was a management consultant in the Vancouver Office of Andersen Consulting. Mr. Lockhart has degrees from U.B.C. 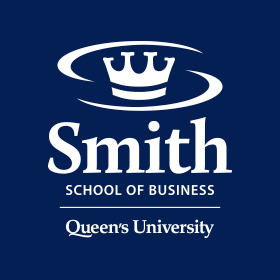 (BComm) and Queen's University (MBA). George Jackson is an Associate Facilitator in the Executive Decision Centre. Over the last dozen years Mr. Jackson has worked with many groups designing and conducting meetings and workshops. He is particularly interested in the aspects of ‘virtual scaling’ for business along with discovery-driven planning. Mr. Jackson has led sessions on strategic thinking, team building, and scenario planning. He has worked with over 200 organizations in the private, public and not for profit sectors. Some of his clients include Honeywell, McGraw-Hill Ryerson, Big Sisters of Canada, Hummingbird, Empire Life, AT&T, Hewlett-Packard and United Way. Prior to joining the Centre, he was a team member that helped Queen's University raise over $100 million in the Challenge Campaign. Most recently he assisted the Kingston United Way in redeveloping Leadership Development Services, a professional development service for the Boards of local non-profit organizations. Mr. Jackson loves yacht racing, and although the Canada’s Cup has returned to Canada, he one day hopes to race across the Atlantic Ocean.